﻿ About- Avance Technologies Ltd.
Avance empowers its customers to communicate between varied IT back-end systems and mobile phones using SMS Services. Avance Technologies provides a unique, end-to-end, global carrier-grade mobile data service. Its mobile data service offering includes "plug and play" application licensing and hosting. 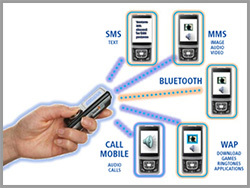 Employing a partnership with Mobile operators and other service providers and a clear focus on SMS mobile marketing. Avance Technology’s Mobile Marketing Platform is capable of delivering SMS services to virtually any CDMA/GSM mobile handset. Avance Technologies combines signaling information from the mobile world with innovative applications running concurrently on its own IT applications platform and thereby pave the way for mission-critical international messaging services. Avance Technology’s complete product suite offers you the tools you need to create, promote and manage your mobile platform. All Avance Technologies products come complete with robust reporting and analytics to make sure you're getting the results you need from your mobile investment.